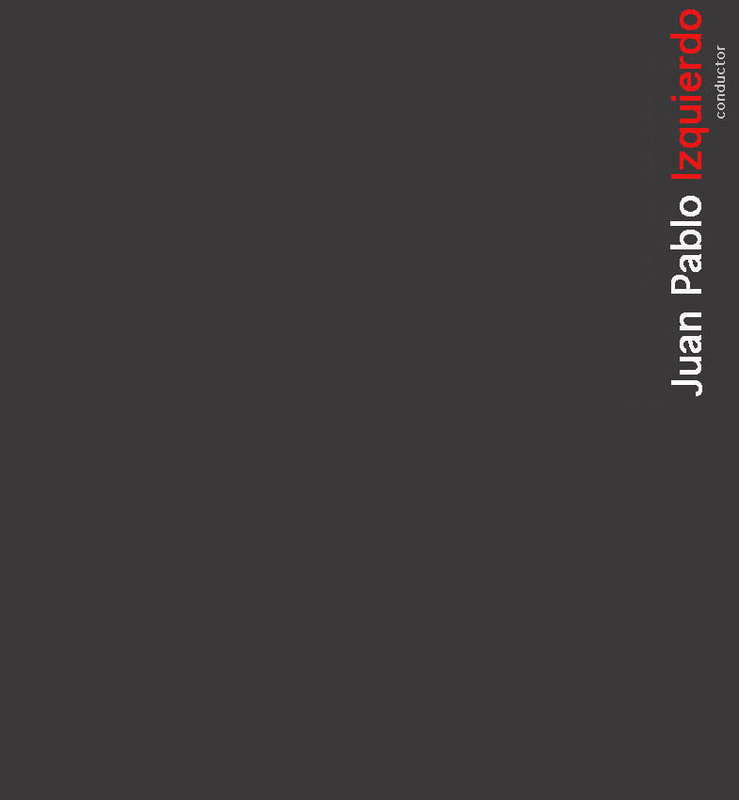 Juan Pablo Izquierdo has an international career conducting the major orchestras in Europe and South America-including the Vienna Symphony Orchestra and those in Hamburg, Berlin, Frankfurt, Dresden, Leipzig, Madrid, Paris, and Brussels; and the BBC Glasgow, Holland Radio Orchestra, and the Bavarian Radio Orchestra. In 1966, he won First Prize in the Dimitri Mitropoulos International Competition for Conductors, and was named assistant conductor to Leonard Bernstein for the New York Philharmonic. He has been principal conductor of the Gulbenkian Orchestra in Lisbon, the Santiago Philharmonic Orchestra which he reorganized and conducted until 1986 and the Chamber Music Orchestra of Chile until 2014. Currently he is Conductor Emeritus of the Carnegie Mellon Philharmonic and Conductor Emeritus of the Santiago Philharmonic Orchestra (link). 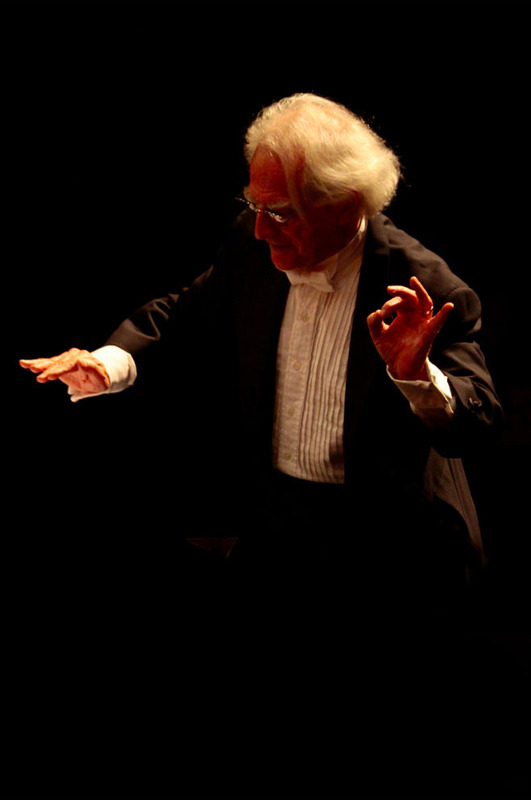 In the Middle East, Izquierdo has conducted the Jerusalem Symphony and the Israel Chamber Orchestra, and was music director of the Testimonium Israel Festival in Jerusalem and Tel-Aviv from 1974 until 1985. In 1976 he was awarded the National Music Prize by the Israel Ministry of Culture, in 2012 he was awarded Chile´s National Music Prize. He has also conducted at the Holland, Paris, Strasbourg, Berlin, Munich, and Budapest music festivals, and in 1998 received the National Critics Award in his native Santiago for the second time. In 2007 he received the Diapason D'Or Award for his recording of George Crumb's Black Angels and Makrokosmos III. While his interpretations of the Viennese masters of the nineteenth century continue a long-standing European tradition and reflect the brilliance of his teacher and mentor, Hermann Scherchen, Izquierdo is also known internationally for his bold interpretations of avant-garde music of the twentieth century. As music director of the Carnegie Mellon Philharmonic, he has presented that orchestra in works by Xenakis (Carnegie Hall, New York), Varèse (Kennedy Center, Washington, D.C.), Messiaen (Symphony Hall, Boston), and Scelsi (Carnegie Hall, New York). His recordings with the Carnegie Mellon Philharmonic appear on the Mode and New Albion labels, and on International Music from Carnegie Mellon, a radio series with international distribution in three languages.